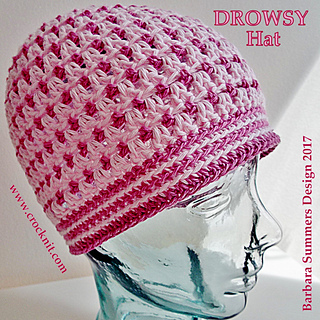 DROWSY Hat is soft and comfortable and keeps your head warm throughout the night. 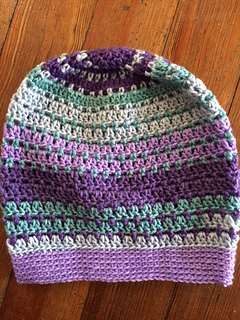 A lovely lightweight cotton hat which adds enough warmth for a comfortable night’s sleep. 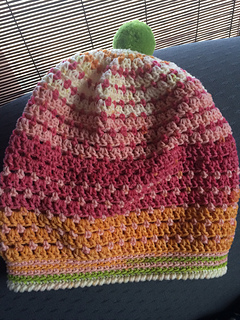 PATTERN NOTES: Hat is worked top down in the round. 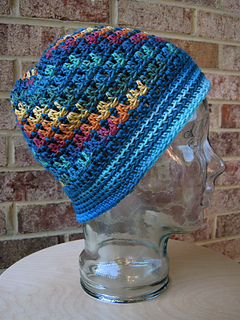 Instructions in this pattern are for a two (2) colour hat. Each round is completed before changing colour. Photographs accompany the written instructions of this pattern. This pattern is written in USA - American Crochet Terms.